We hope you did and now we're back at it this week with a new post. This week we are going to talk a little bit about a movie we saw this last week. The name of the movie is Miss Sloane. We'll give you a brief overview just in case you haven't seen it from Sheila O'Malley who writes for RogerEbert.com. "With a script by first-timer (and it shows) Jonathan Perera, "Miss Sloane" charts the course of a woman who works for a conservative lobbying firm, but jumps ship after being asked by her scowling-eyebrow-ed boss (Sam Waterston) to support the powerful gun lobby in their opposition to a new gun law featuring regulatory checks on the purchase of firearms. Sloane takes her entire team with her, sans one—her devoted assistant Jane (Alison Pill) who decides to stay behind—to a rag-tag low-rent lobbying outfit headed up by Rodolfo Schmidt (Mark Strong), devoted to pushing through that controversial gun bill. To say Miss Sloane is a ruthless lobbyist does not even begin to cover it. She is the Keyser Söze of lobbyists. She is the Bobby Fischer of lobbyists, going up against grade-schoolers playing checkers. She is every mastermind serial killer on "Criminal Minds," psychopaths with the wherewithal to pepper their crime scenes with 75 red herrings, baffling organizations following the blood trail. 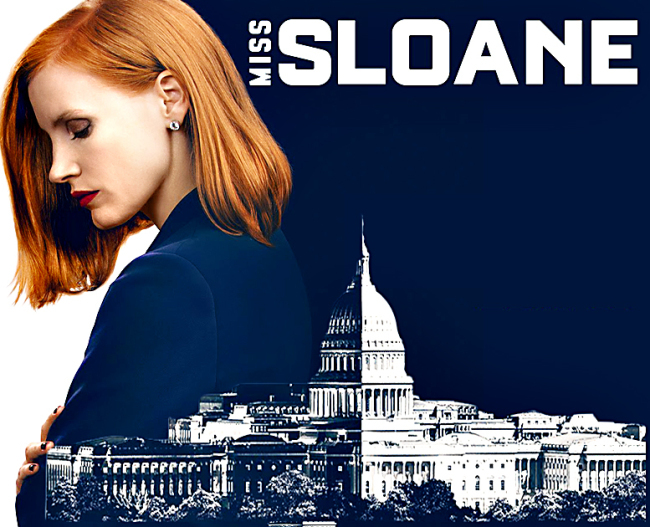 While there is a satisfaction in the spectacle of a Lone Wolf outsmarting the fat cats in Washington, and while the character of Miss Sloane is given fascinating and bizarre depths (unexplained for the most part, a welcome change), "Miss Sloane" plays like a naive fantasy (perhaps its release date has something to do with that). Miss Sloane's political convictions are unknown. She is not an idealist or an activist. She does not have any convictions outside of winning (a philosophy she verbalizes multiple times throughout, including in the direct-address opening scene). She will do anything—anything—to win. Her colleagues are thrown under the bus, used, lied to, betrayed. This aspect of the story is refreshing, making "Miss Sloane" more of a character study than anything else. It is the character study aspect of the film that is most interesting." Now that you have a little taste for what this movie is all about you can see why it fits perfectly with what we are talking about this year. Anyone who's been reading this site this year knows we are focusing on "Power". This movie and this character is all about power, and just not power but political power at that. The one thing we did want to discuss with you from the movie is a quote that Miss Sloane says a couple of different times throughout the movie. "Lobbying is about foresight, about anticipating your opponent’s moves and devising countermeasures. The winner plots one step ahead of the opposition and plays her trump card just after they play theirs. It’s about making sure you surprise them, and they don’t surprise you." This quote was repeated a couple of different times throughout the movie and it stuck with us. We think this is simple quote sums up a lot of what being a Power Player is all about. Let's break it down a little bit and see from what we have learned so far this year how this translates into lessons we can learn from this quote. We've learned that being a Power Player is about anticipating your opponent's moves and devising countermeasures to make sure that the things you want to happen, happen. A Power Player is always plotting one step ahead of their opposition. If you can't see the ends to what you are trying to accomplish as a power player you will never know the means at which you need to employ to get there. This is one of the most important things we took from this quote. "Plays her trump card just after they play there's." So often we've seen in power plays how important timing is, and playing your "trump card" right after they play there is a perfect example of how crucial timing really is. If you play your trump card too soon you're most likely going to lose. If you play it too late then it might not matter at all. It has to be played just right to have its maximum effect. That is one thing that Miss Sloane does perfectly. Last but not least isn't the power game all about this. 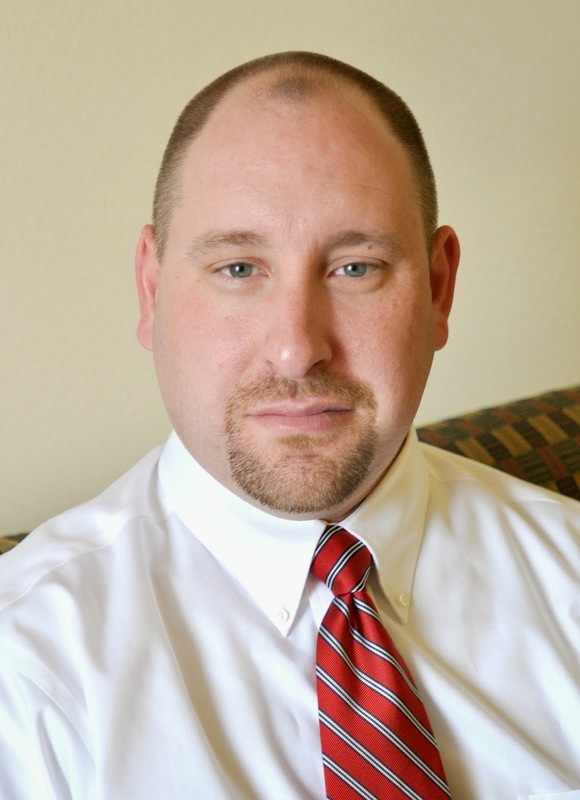 "It’s about making sure you surprise them, and they don’t surprise you." In the game of power, you don't ever want to be surprised. You want to be the one surprising other people. We don't want to spoil this movie for you but let's just say that if you are a fan of Frank Underwood from House of Cards you're going to love this movie. If you'd like to see this movie you can click on the picture below.